Personal branding mistakes are very difficult for people to recover from in the age of the internet. Once something’s been posted online, it’s nearly impossible to erase. Your own personal brand is more important now than ever before. Get it right, and you will create a positive image of yourself that will help you stand out from the crowd, convey excellence and value, and kickstart lasting relationships with prospects and clients. Get it wrong? You’ll create a negative image of yourself that will make you stand out for all the wrong reasons. Or, even worse, you won’t stand out at all. The good news is, when it comes to your personal branding on LinkedIn, you have control of how you present yourself. 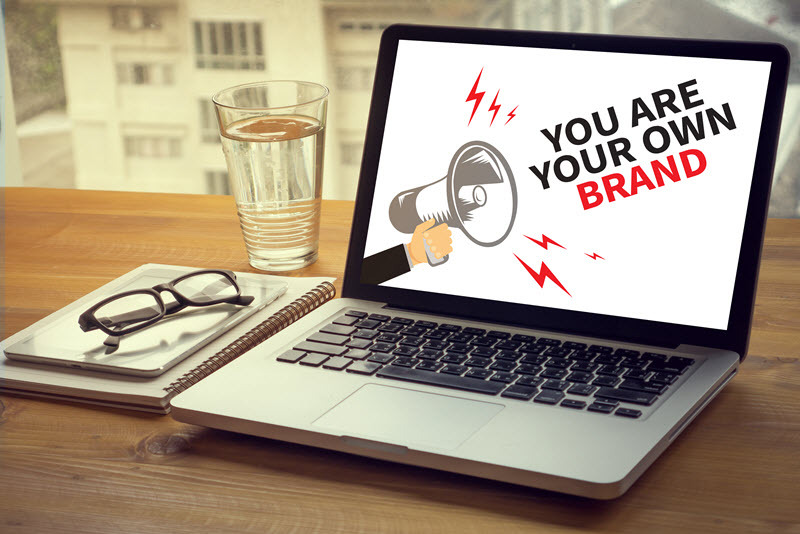 In this article we’ve listed the personal branding mistakes on LinkedIn that can keep you from standing head and shoulders above your competitors. Avoid these mistakes, and your personal brand will be everything you want it to be. A LinkedIn profile with a poor quality picture (or worse—no picture at all!) is like an online dating profile with a bad pic—you’re not going to attract any attention if you’re not putting your best self forward. Your profile picture is often the first impression a potential employer will have of you, so you want it to be a good one. A bad picture, or a picture that was taken in a non-professional environment or shows you looking less than your best, can create an indelible impression of incompetence. It can be “damaging to your personal brand and even hamstring your career opportunities”, according to Entrepreneur Magazine. Be hyperaware of the impression your profile picture is conveying, and your personal brand will be safe. LinkedIn allows you to connect with a huge number of potential clients and employers, the operative word being CONNECT. Once you’ve connected with a person, you can start to learn more about what you have to offer to them (and vice versa), and you can establish a relationship. Conversely, if you haven’t taken the time to establish some rapport, instantly trying to sell yourself to them creates a negative impression that will be hard to shake. Yes, most people on LinkedIn are there to sell themselves as the solution to every need, but remember that you’ll catch more flies with honey— build a connection with your potential employer or client, and they’ll be a lot easier to persuade. Oh, boy. This is a big one. There’s a thin line between presenting yourself in the best light and flat-out lying about yourself. Stay on the right side of this line, particularly when you’re presenting (easily checked) information about your career. Recruiters that use LinkedIn have honed the skill of spotting inconsistencies, and once they see that you’re not telling the truth about your experience, it will be impossible to reestablish your credibility. Of course, you should put your best foot forward, but make sure you’re always telling the truth. Anything beyond that will be a personal branding mistake that will be hard to recover from. Posting quality content instead of focusing on quantity. Posting positive comments, not negative. Participating with a view to help in groups rather than obviously self-promoting. Complete job experience, with dates. If that’s not completed, it looks like there’s something to hide. We assume you’ve got a presence on other forms of social media, or even possibly a personal website or blog. You could make your connections scour the internet for your Twitter handle or your website, but it’s much more professional to offer all of your links in your LinkedIn profile. This saves your connections time, and it can allow them further insight into what you have to offer them by directing them to other places where you and your work are featured. Side note—if you do put your other social media links here, be sure that you’re presenting your best self there, too. Make sure you update your website with some regularity, keep your profile pictures appropriate, and stay positive. If you can avoid these personal branding mistakes on your LinkedIn profile, you’re sure to create a positive, professional personal brand that will be appealing to employers or clients, enhancing your career opportunities and helping you stand out.